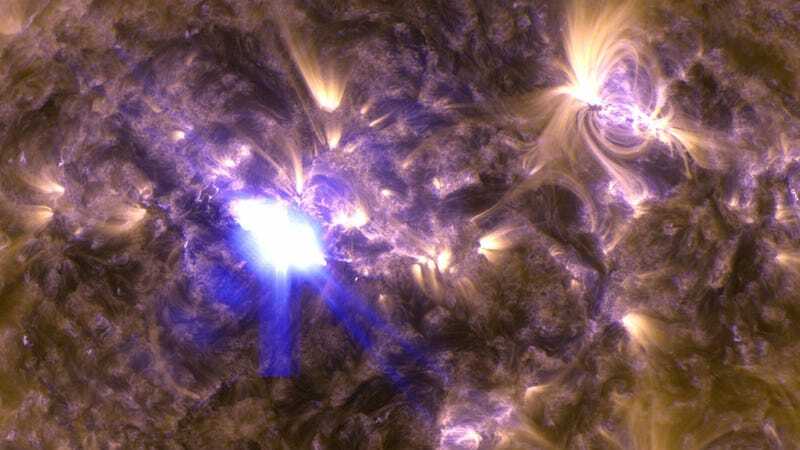 On April 11, 2013, at 3:16 a.m. EDT, the sun emitted an M6.5 flare, allowing NASA to capture this vibrant image. It's not a particularly powerful solar flare, but it is the strongest of 2013 so far, and we'll have plenty more opportunities to observe solar activity this year. The sun is expected to reach the peak activity in its 11-year activity cycle in late 2013. When it reaches that peak, we could be seeing multiple solar flares in a single day, and witnessing the effects of the resulting coronal mass ejections right here on Earth. Head over to NASA to see higher resolution images of this particular flare and images of its resulting CME.